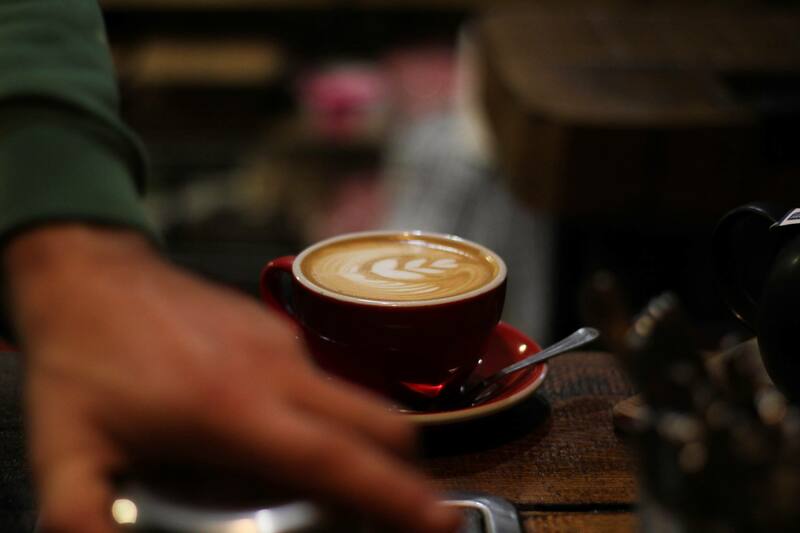 We asked Cairngorm’s barista Miles Leibke for his top coffee tips. 1.What sort of training do you have to do to become a barista? This is a very interesting question – one that I am asked frequently. Today in fact! For me, I have worked for many years in Hospitality, in various areas, which has lead to plenty of on-the-job training. This is a normal situation for most baristas, that they have learnt by working their way up the ranks, as opposed to gaining a qualification. 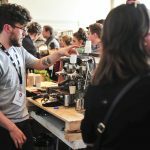 There are various courses that people can complete with the SCAE I.e the coffee diploma, which is super helpful on many levels, but at the same time if you don’t have the right eyes and ears for customers, and the ability to work under pressure with many orders, the qualification may be a moot point. In short, you could complete training, but the best way to do it is to make yourself available, be ready to learn (a lot) and prepared to drink heaps of coffee. 2. What’s the most common mistake people make when making coffee at home? I believe that SO many people are using coffee that is very over developed (I.e an Italian/French dark roast) while also buying pre-ground coffee. Basically, with darkly roasted coffee (especially when using a filter/cafetière) it is almost impossible to get any sweetness out of your brew, as all of the sugars and lovely flavours have been so roasted out of the bean, that the only flavours we’re left with are ash, and carbon. Basically v. Bitter. The best way to avoid this is using a lighter roasted coffee! I guarantee you that you will find more sweetness, a pleasant acidity and no more of that ashyness either. Grind your coffee for each coffee that you make, and you will see an instant increase in quality in your cup. 3.What’s the one bit of equipment that would vastly improve your morning coffee? An excellent hand, or electric burr grinder. Made by Knock are manufactured by hand in Edinburgh. They’re seriously out standing. Your grinder is without a doubt the most important part of your coffee kit that you can have. If you have an even particle size (less massive bits, less really really tiny bits and more same sized bits) you will get a coffee that is far, far, more balanced. Your grinder is what achieves this. A short explanation of why an even grind size is better is as follows. With extracting (or brewing, if you will) coffee, a solid rule is that smaller particles extract (brew) considerably faster than larger particles, due to the fact that they have a much higher contact area with the water that passes along them. As a general rule, the less you extract a coffee the more sour/salty it will be, and the more you extract a coffee the more chance you have of reaching hollowness, bitterness and astringency. So by eliminating particles that are very large (that make your coffee sour) and the ones that are very small (that make it dry and bitter) you get a coffee that is delightfully balanced. So basically, my suggestion is to buy an awesome grinder – it’ll change your life. For real. 4. 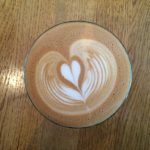 What is the hardest type of coffee to master? To be honest, I don’t think we’ve actually mastered any brewing method just yet. I believe that once you have an understanding of extraction, all brewing methods seem to merge in to one, and the mastery comes from brewing beautifully sweet and balanced coffees across all methods. But to be more to the point, I would probably say that Ibrik (Turkish coffee) is very very difficult to master, and one that I have not seen done excellently in person. Beyond that I would probably say espresso, just because of how temperamental it can be. 5.Where can I find coffee roasters locally? I love this question!! It gets me SO excited! Because this is something that I love discovering. Honestly, the single best way for you to find new, awesome, local roasters is through the barista at a speciality coffee shop. Most of us are in the know of what is going on in our city, and we take time out to go and visit these places (because we’re all just a bit loopy – we do our job on our days off too). But seriously Google is okay, but your barista is going to give you a way better idea of what is actually happening in your local area. Hit us up – we love to chat about these things!! 6. Is it ever right to put sugar in your coffee? Hah. I would say no, and I actively discourage it at work. We put SO much time, effort, energy, money, expertise, training, and passion into the drink that is in front of you. (especially if you’re in a place who seriously cares about what they’re serving) and it’s pretty devastating, and demoralising to see someone not bother to taste what we have served them before putting sugar in to their cup. That being said, I always take sugar to a customer, and encourage people to taste their coffee first. Especially if I have not seen them in one of our shops before. So yeah, I would say no, but I would also say that it is okay, just make sure you taste it! It’ll probably change your life! !